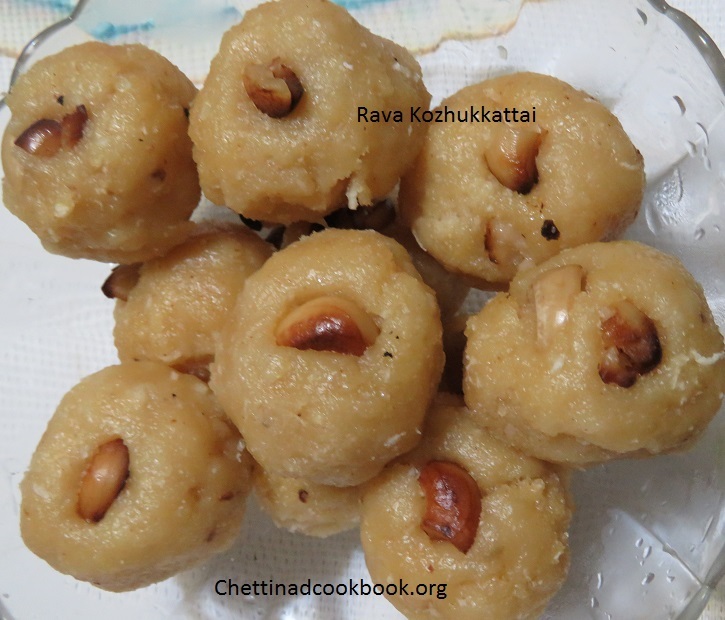 Every time everywhere, Once you hear the name “Upma” we can notice some dislike reactions, This recipe will make you ask for more and more to fill your stomach saying tasty, try once to feel the real taste of Chettinad Rice Rava Upma. Rice granules with broken toor dal, pepper and cumin give the real taste of Upma, easy to prepare with this traditionally prepared instant mix. Of course, making Upma is the easiest one. 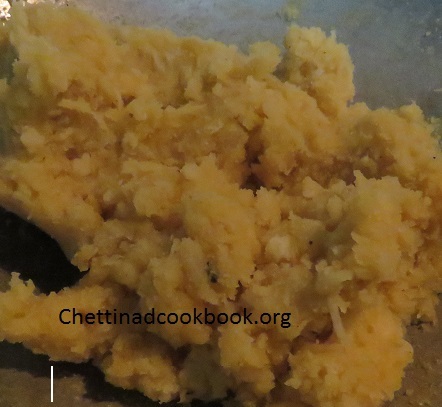 but this rice rava upma needs some additional work to soak and grind rice, season with many ingredients to make the delicious dish. Chettinad instant rice rava makes the words true, Upma is the easiest recipe to prepare with less effort. Heat wide pan, season with the above ingredients, add chopped onion, green chili, and ginger saute for a while. 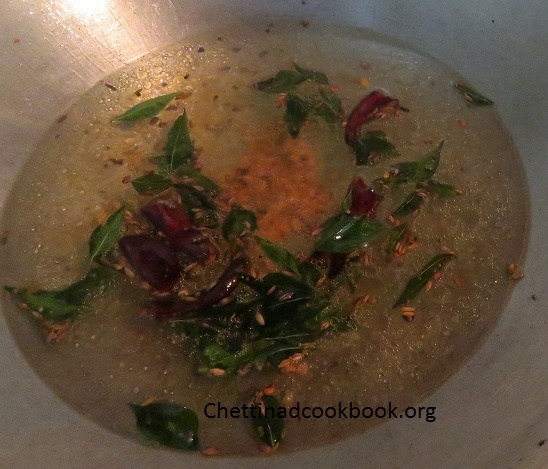 Add rava , roast with the seasoned ingredients for 1/2 minute add 2 cups of water and salt pressure cook for 2 whistle. 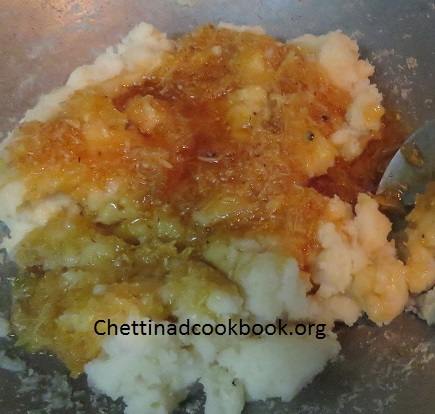 Finally mix with the teaspoon of ghee and grated coconut thats it so easy. 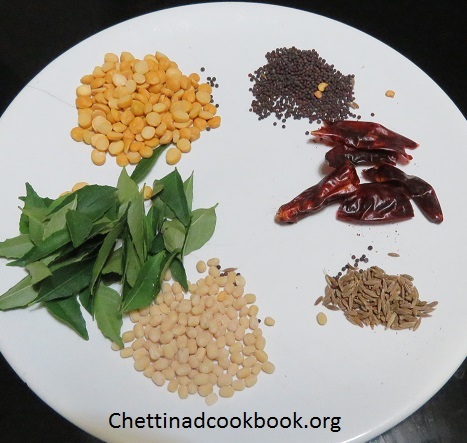 Serve with sambar. 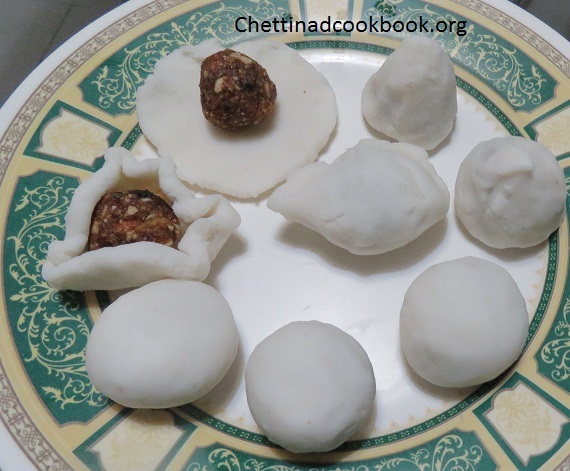 Glad to note that we have achieved 350 posts in our blog – http://www.Chettinadcookbook.org . 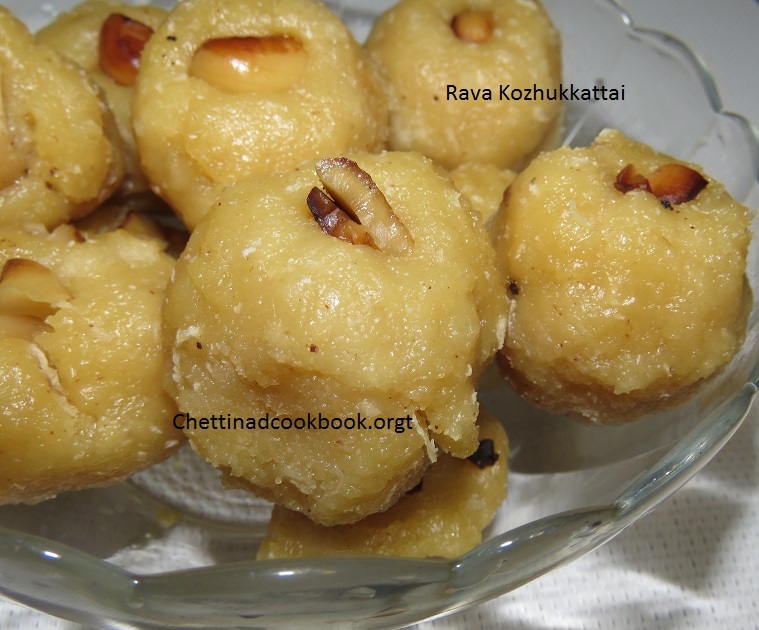 To celebrate both Ganesh Chaturthi and our achievement we have a treat with the unique recipe Rava Kozhukkattai. 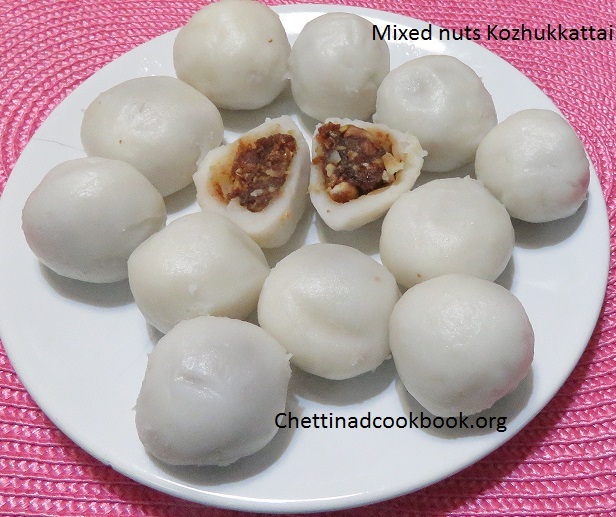 easy to prepare in few minutes of effort. 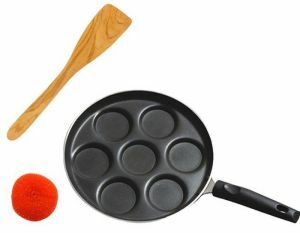 Rava has the quality of easiest and fast cooking ingredient in all to choose. 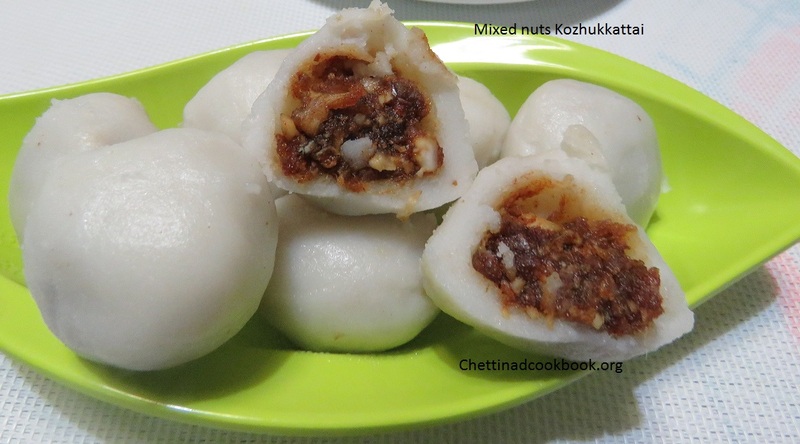 Rice can be replaced by Rava to make Kozhukkattai. 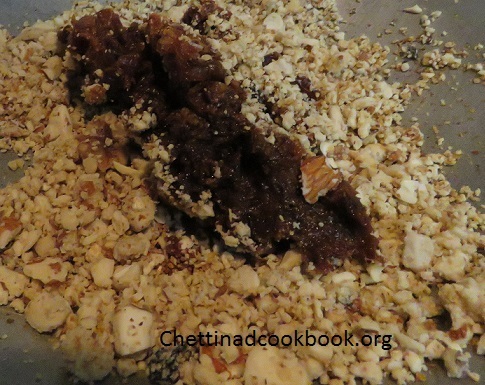 Heat pan with Ghee golden roast broken Cashews, collect and keep it aside. 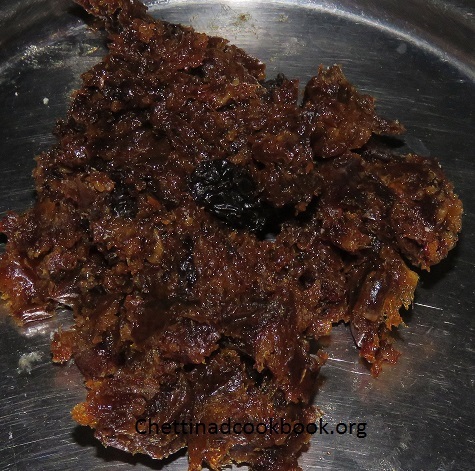 In the same pan fry Sooji / Rava for 2 to 3 minutes in medium flame. 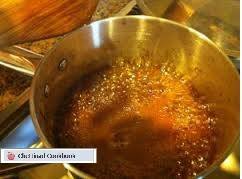 Melt jaggery by sprinkling some water, once done strain it to remove unwanted particles. In another pan boil milk, while it starts boiling temperature, add roasted Rava and stir constantly. 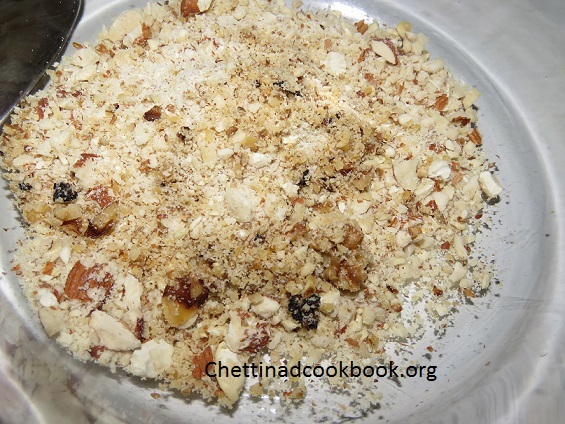 When it becomes thick, add melted jaggery, grated coconut, and cardamom powder, mix well. Switch off the flame and allow it to cool. Add ghee if you prefer more. 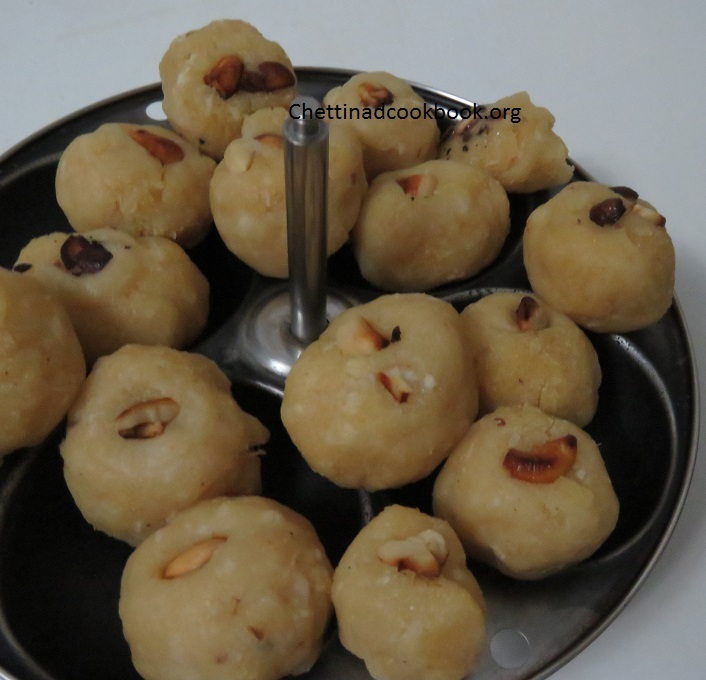 Make it into small lemon sized balls, place cashews on making every ball and steam cook it for 10 minutes. 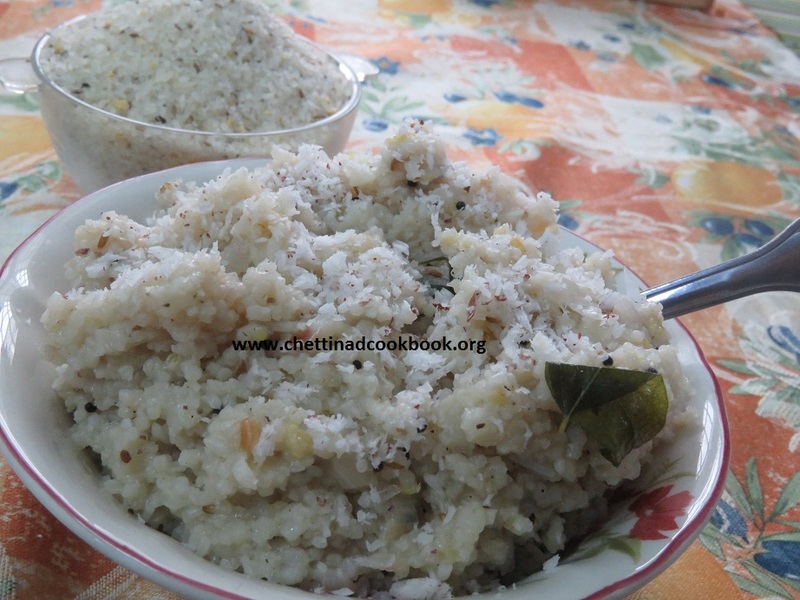 Aval upma is otherwise known as Poha popular breakfast in India. Iron-rich poha is an all-time favourite breakfast recipe, especially in Maharashtra. In fact, poha can be had any time – packed in a box, a snack on the move, or a tea-time accompaniment.We Indians love our poha (or beaten rice pilaf). 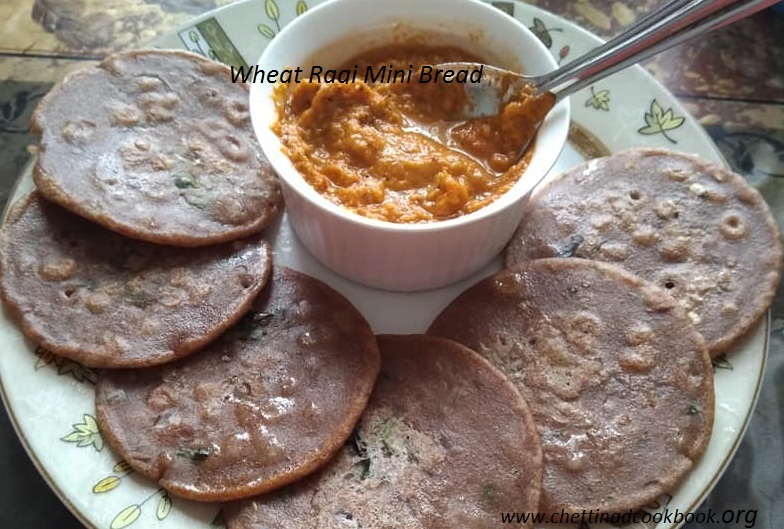 It can be prepared very easily and is highly nutritious as a lot of veggies can be added to it. 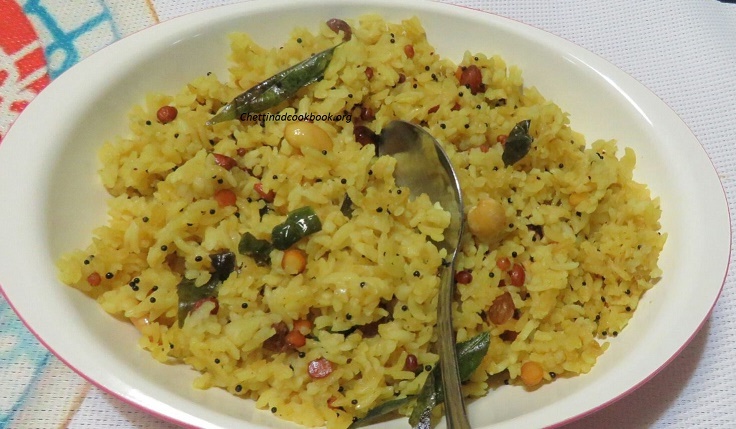 In different states of India, poha is made in different ways and is a staple breakfast item in many households. Packed with iron: Eating poha regularly can prevent iron deficiency or anaemia as it contains 20 mg of iron in every 100g raw rice flakes. Children, as well as pregnant and lactating women, can benefit greatly from consuming it. 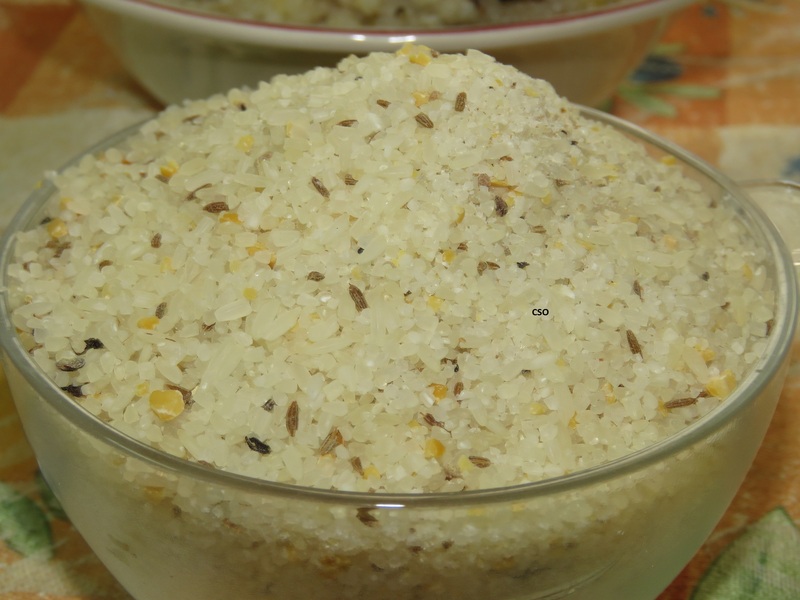 Softened poha is also a great way to add dietary iron when an infant is weaned from breastmilk. Sufficient iron helps the body to form haemoglobin that carries oxygen to body cells and also builds immunity. Squeeze a cut lemon on the poha as it helps improve iron absorption. You can make it simple without vegetables also. Wash Flatten rice / Aval/ Poha in running water two to three times, drain it in a colander. Poha should not be soaked, but it should be soft and intact. 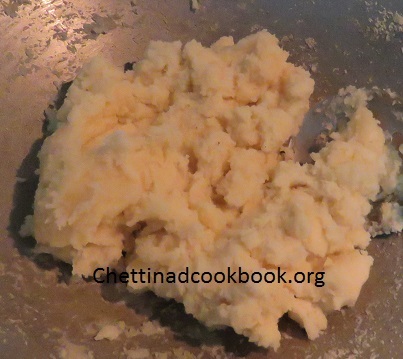 Mix salt and sugar to it, keep it ready for seasoning. Heat pan with oil, add peanuts fry for a while, add channa dal fry it then finally add mustard and urad, allow it to temper. Fry dals and nuts carefully one after the other into golden brown. 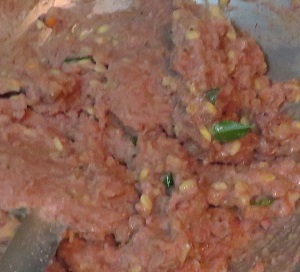 Now add chopped onion and green chillies, add vegetables as you prefer, sprinkle some turmeric powder, stir it well. Now time to add washed poha/Flatten rice or Aval to the seasoned mixture, stir it all together and close the lid for a minute to cook. Do not cook for a long time. Aval cooks faster and gets mashed. 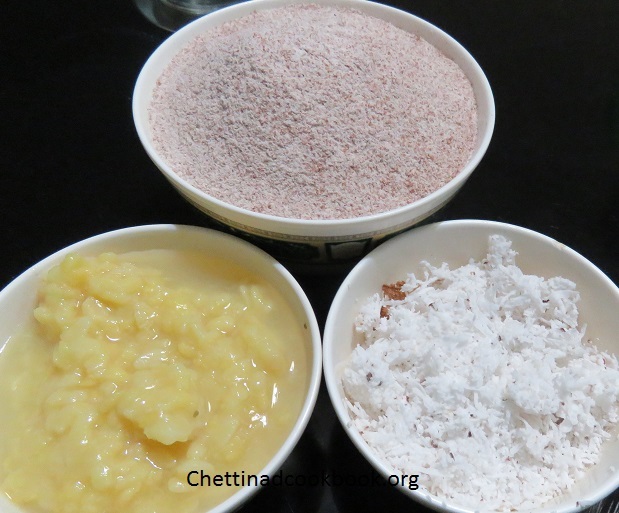 Squeeze lemon juice and grated coconut mix well. Delicious and healthy aval upma is ready to serve. 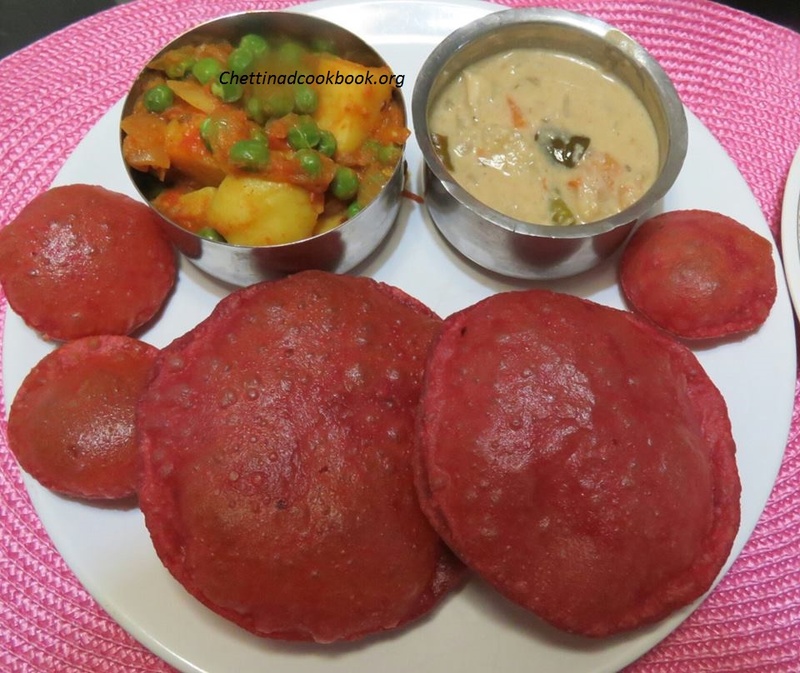 Mind blowing puri with innovative ideas of mixing healthy vegetables or greens has a fantastic fusion and gives an attractive colour which decorates the festive table or the children’s lunch box with more appeal as mini puri’s. It has the soft texture and delicious taste. Add more dark coloured vegetables in your diet, that gives you sufficient nutrients to your body. Peel and grate beetroot. 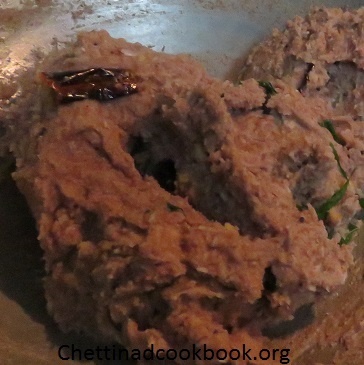 Grind to a smooth paste with skin peeled ginger and red chilli. 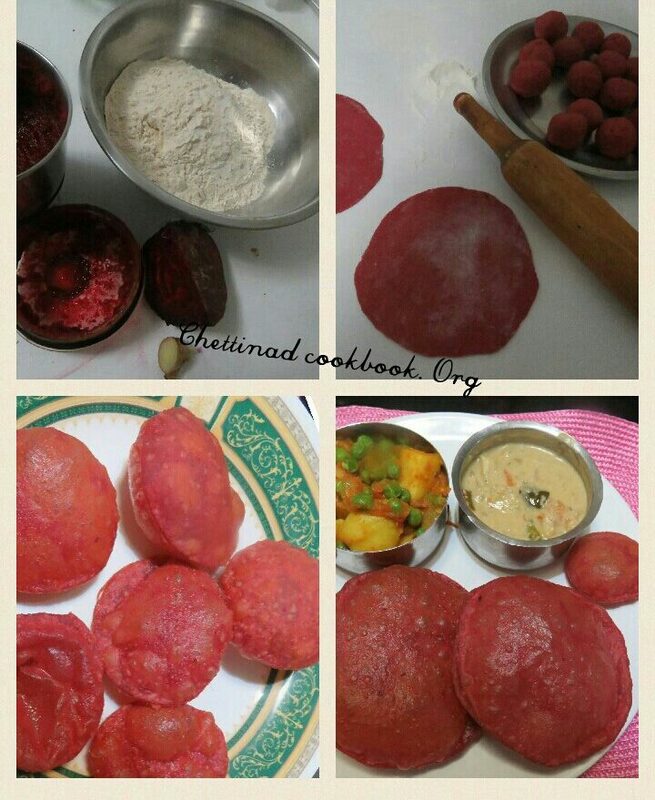 Take a wide bowl, add wheat flour, ground beetroot puree and salt, mix it well, sprinkle little water and make it a tight dough as we do for normal puri. 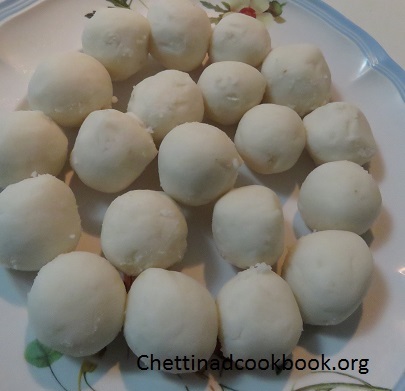 Divide the dough into small lemon sized balls. Flatten it into a puri patties. Heat oil and deep fry puri by turning both the sides. 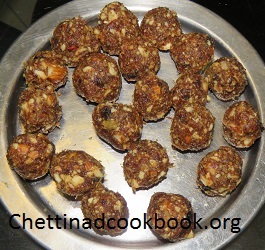 Serve with potato peas masala or vegetable white kurma.